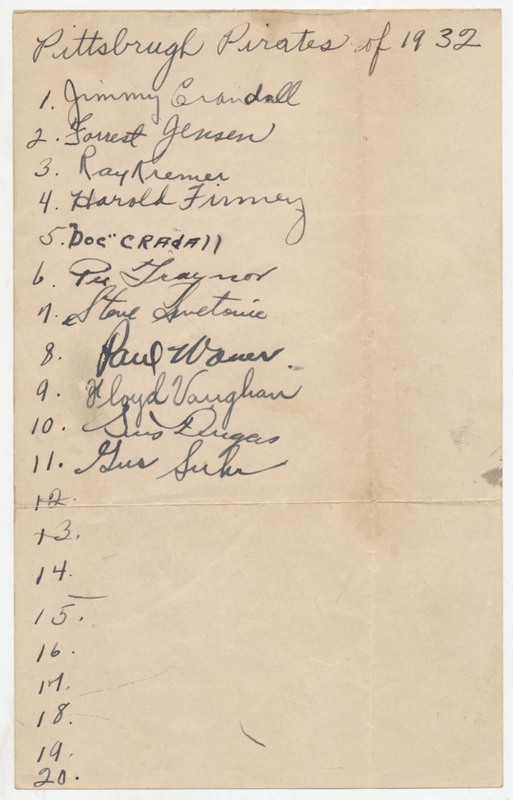 Neat piece, this is a 5x8 page with 11 signatures from the 1932 Pittsburgh Pirates. All are signed in matching dark fountain pen ink. Keys here include HOFers Paul Waner (D'65) and Arky Vaughan (D'52) and Pie Traynor. JSA LOA.